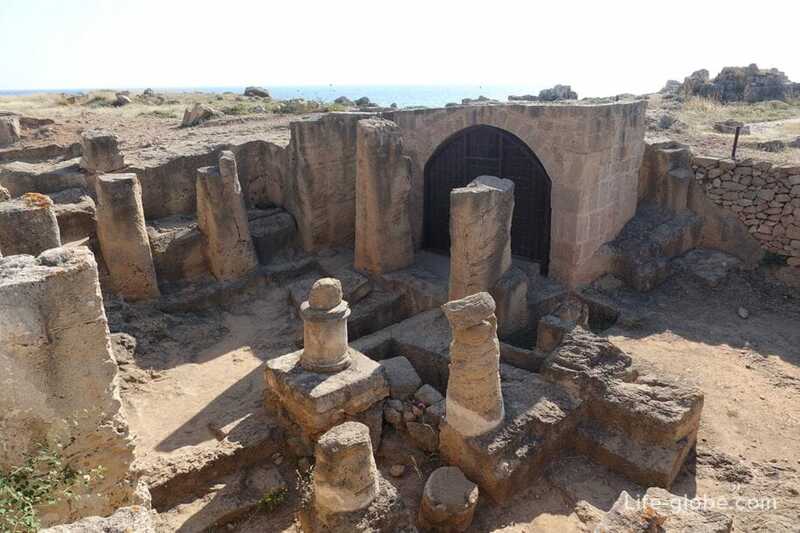 The necropolis was built during the Hellenistic period (3rd century BC), to meet the needs of the elite of the newly founded Nea Paphos. 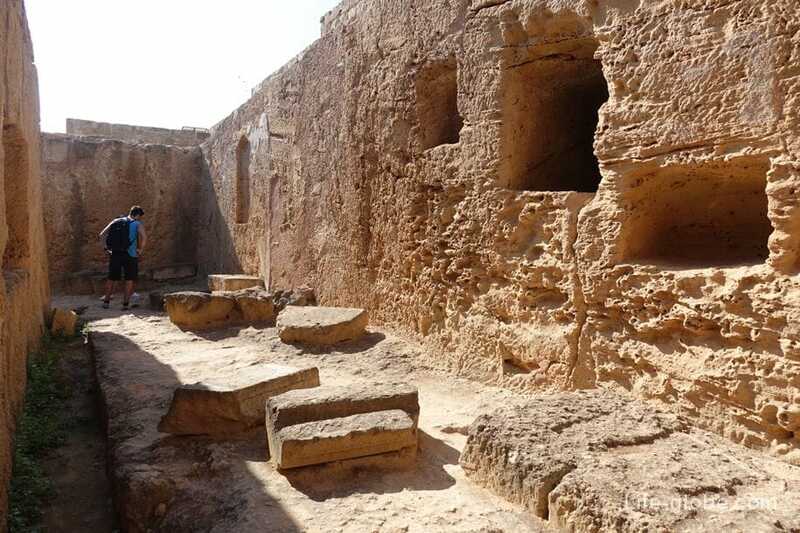 The use of shrines has nothing to do with his name - "Tombs of the Kings" and the burial of kings. 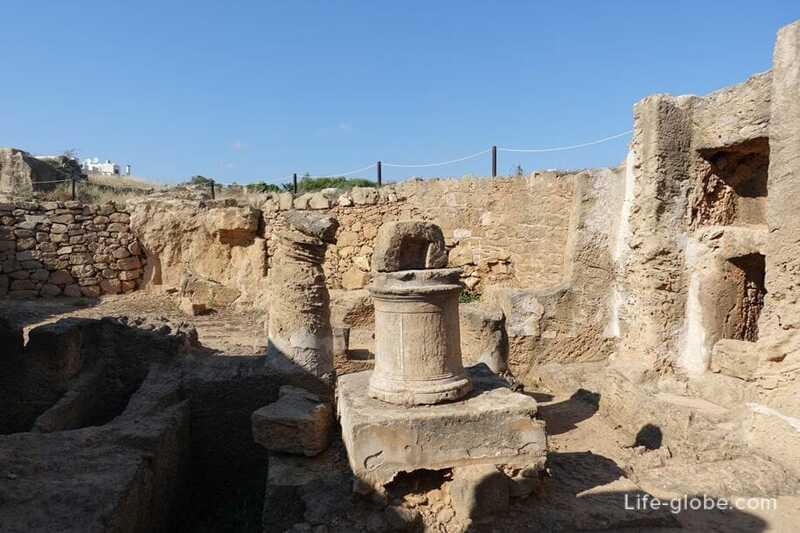 In this place were buried the higher administrative officials, outstanding personality and nobility of the ancient Paphos. 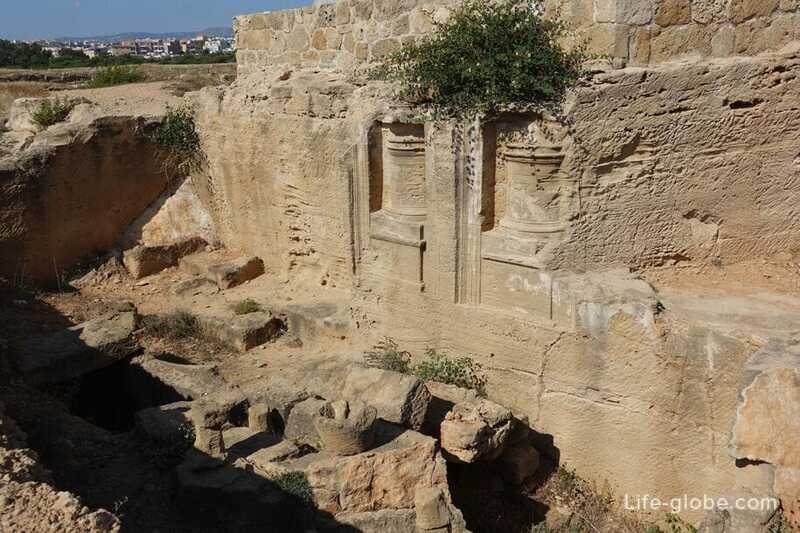 The Royal tombs were constantly used as graves during the Hellenistic and Roman periods (3rd century BC - early 4th century BC). 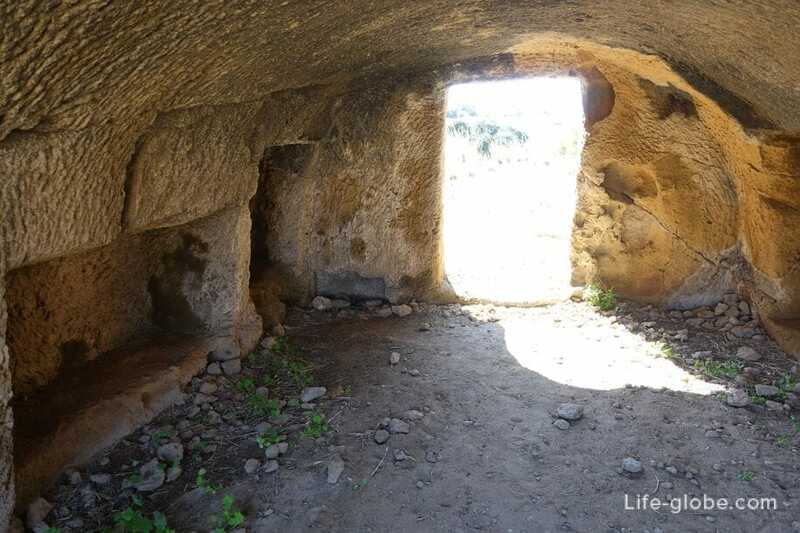 Also there is some evidence to support the fact that early Christians also used the area tombs of the kings for burial. 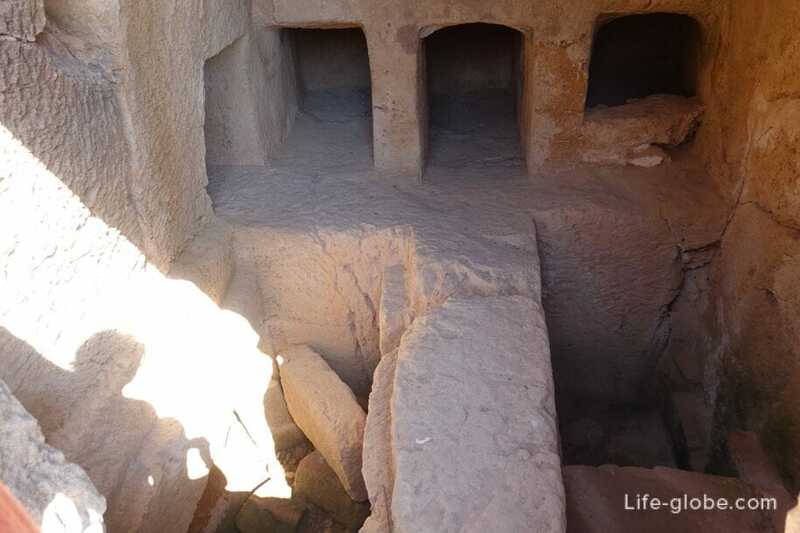 Currently, the Royal tombs are a UNESCO world heritage site and is a very vast territory is fenced, where you can see the remains of underground burial chambers, the ruins and even whole complexes of the former tombs, partially or completely carved into the rock formations. 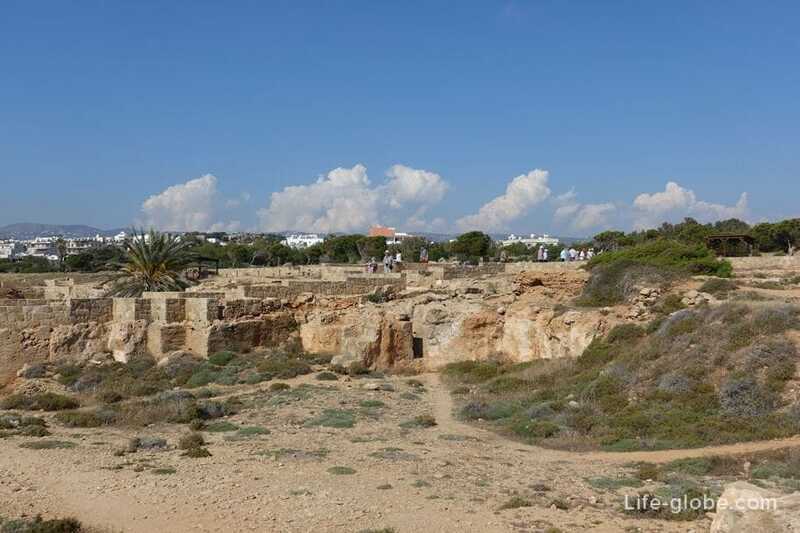 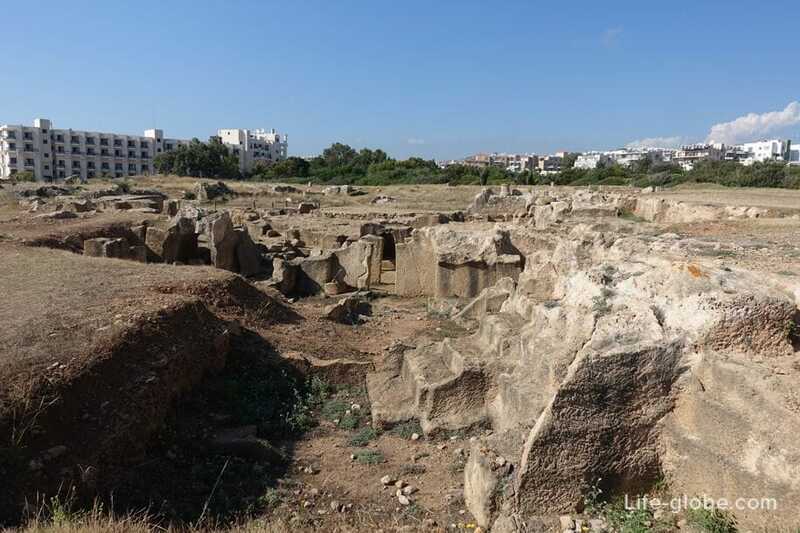 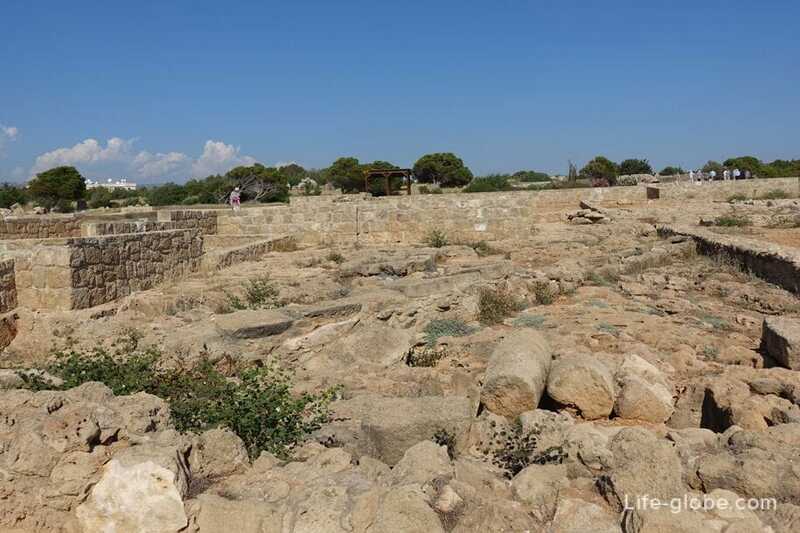 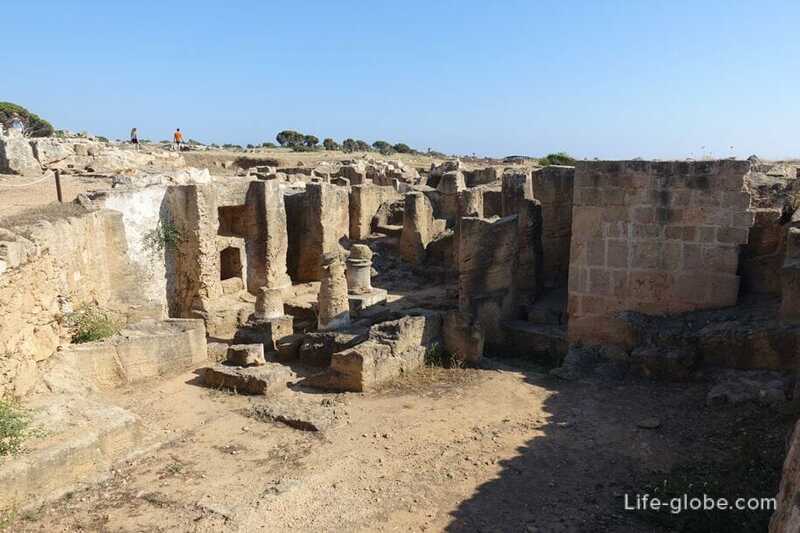 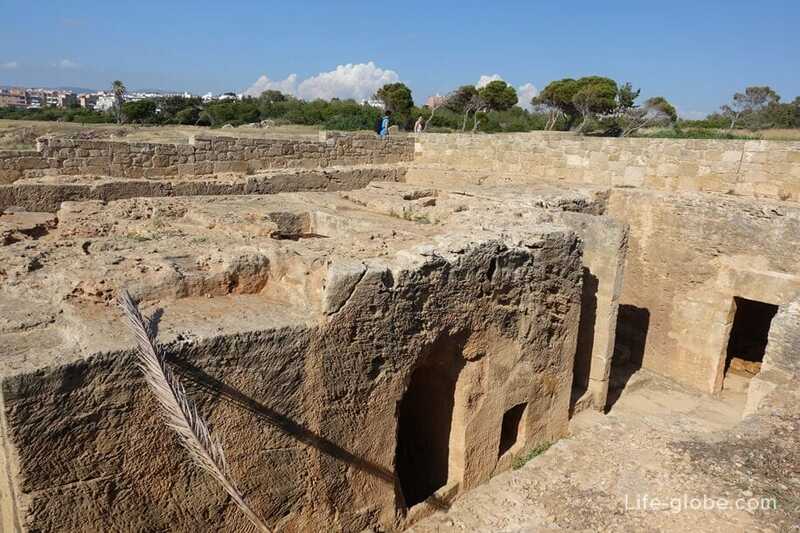 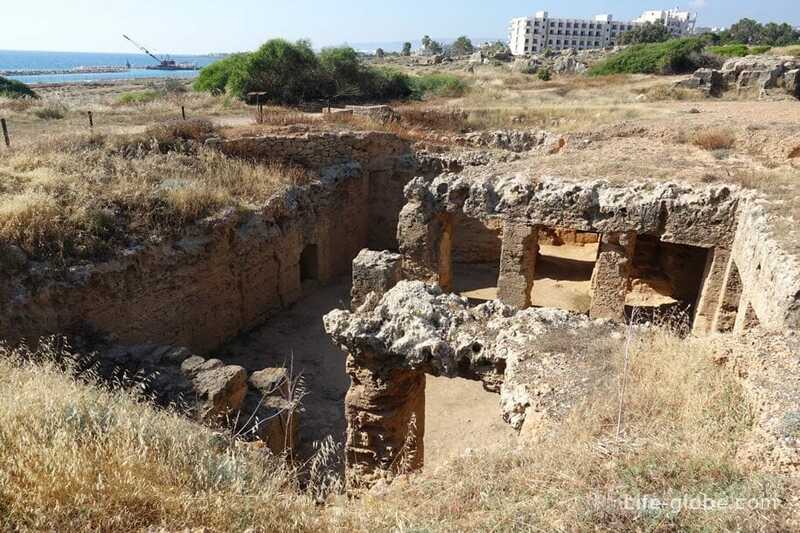 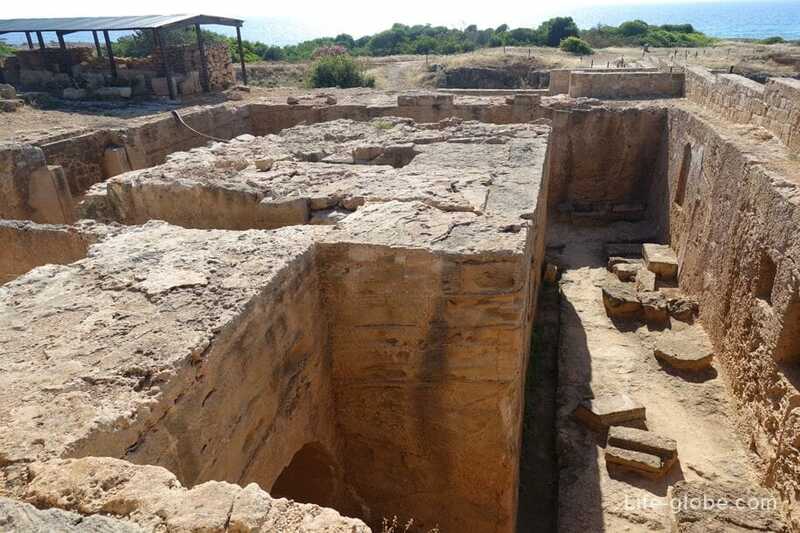 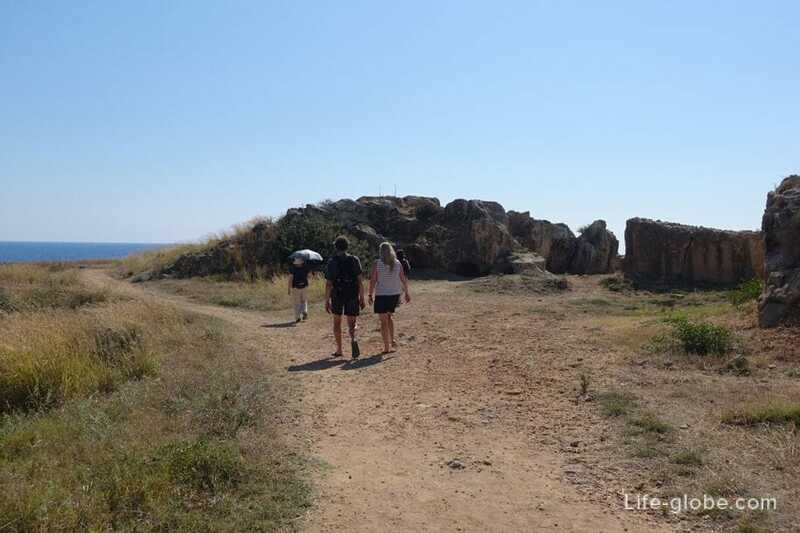 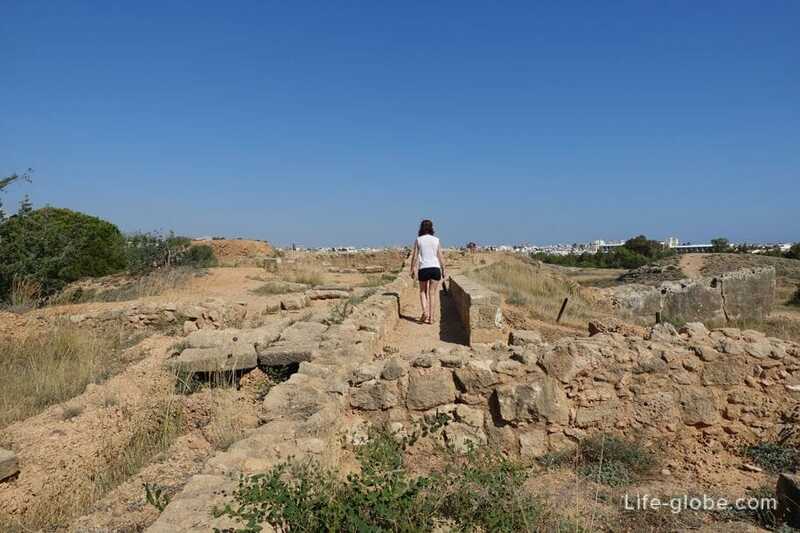 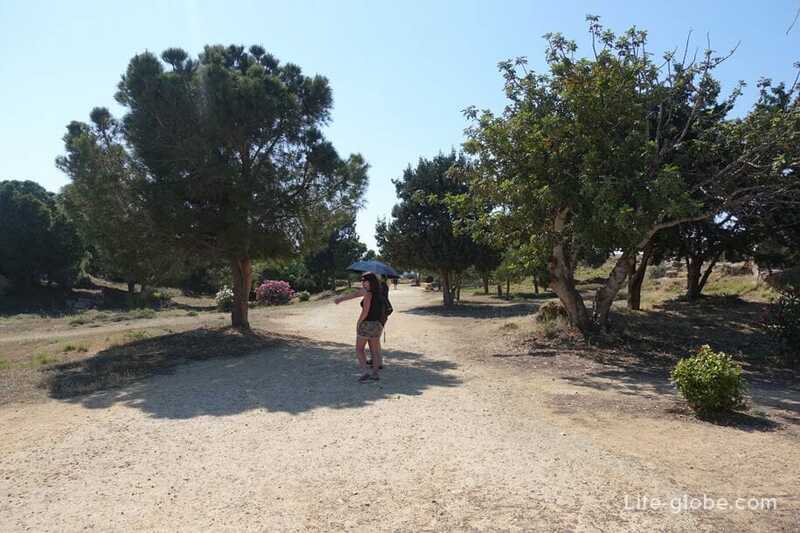 On the site of the tombs of Paphos is 8 complexes of tombs (graves). 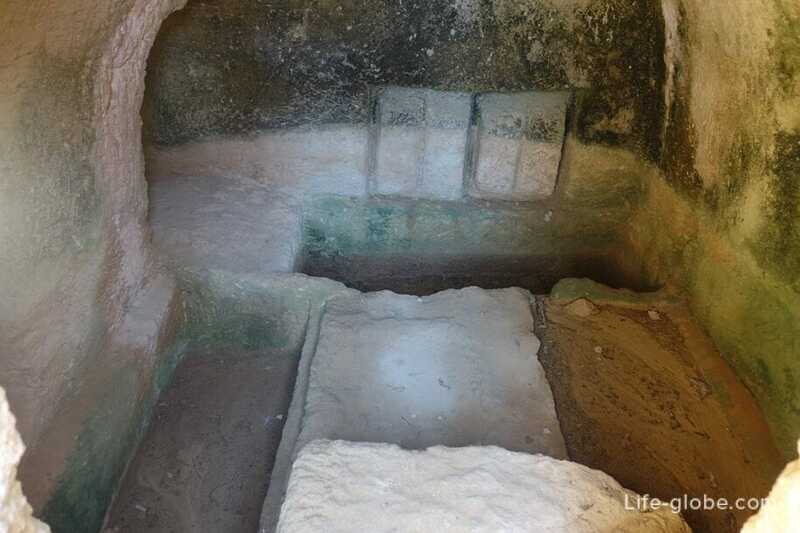 For the convenience of visitors all the tombs are numbered, and each has installed an information plate. 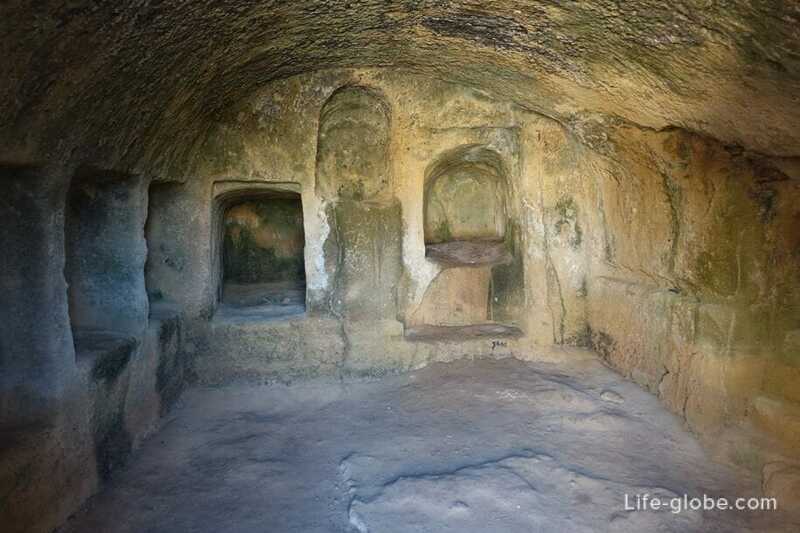 Inside the tombs are stairs, some stone, while others, for ease of movement made of wood. 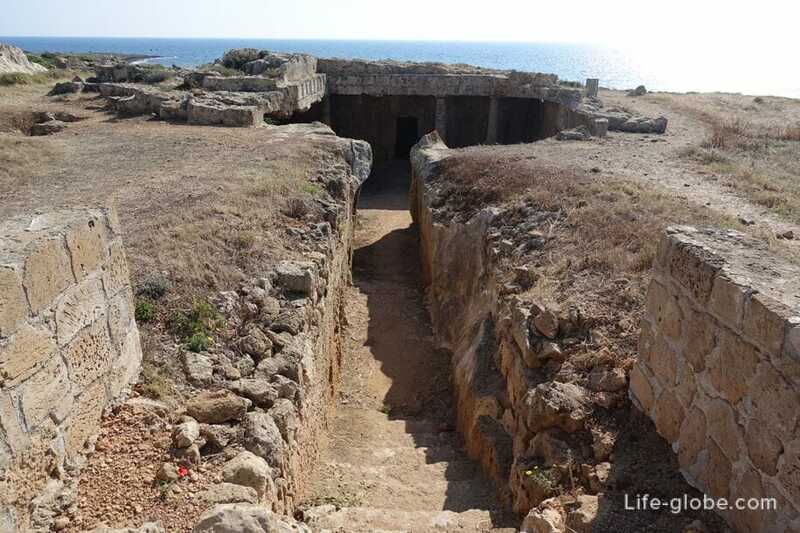 Tomb 1 is the first tomb that you can see, entering the territory of the "Royal tombs". 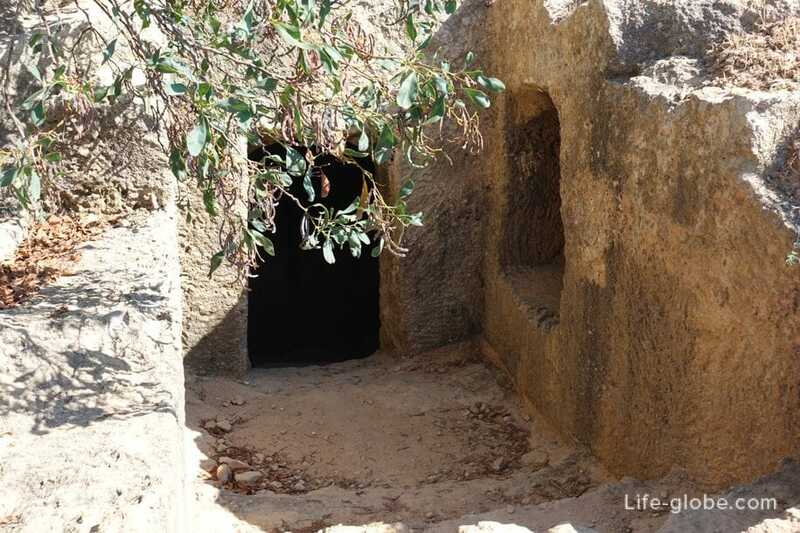 One part of the tomb is above ground, while the other is underground. 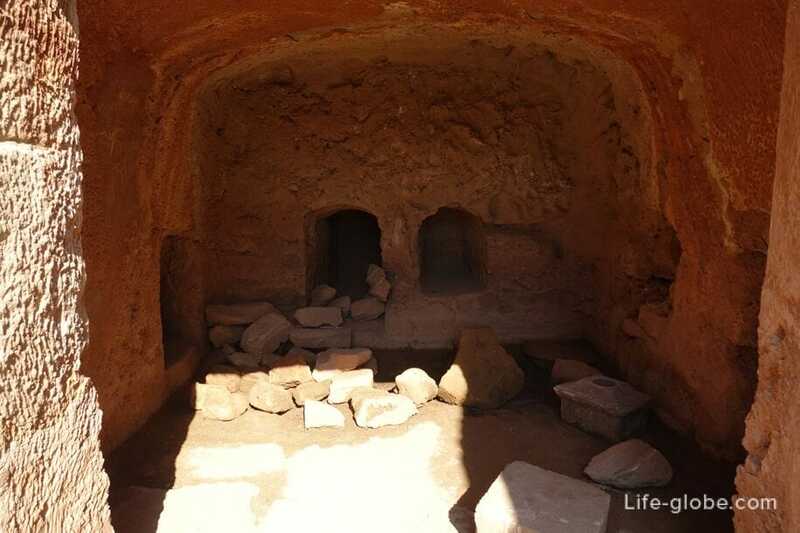 After passing through the entrance, you see several carved niches, which served as tombs. 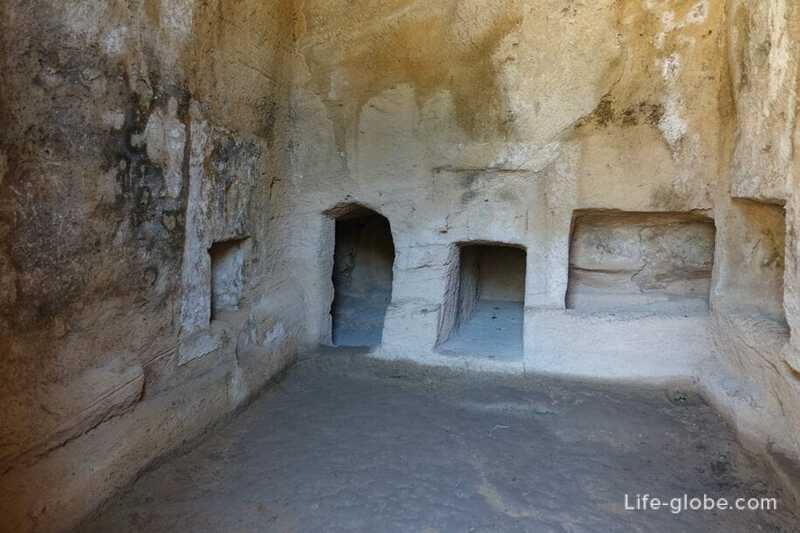 Some of them have a larger size compared to the other, apparently, one was for children while the other adult burials. 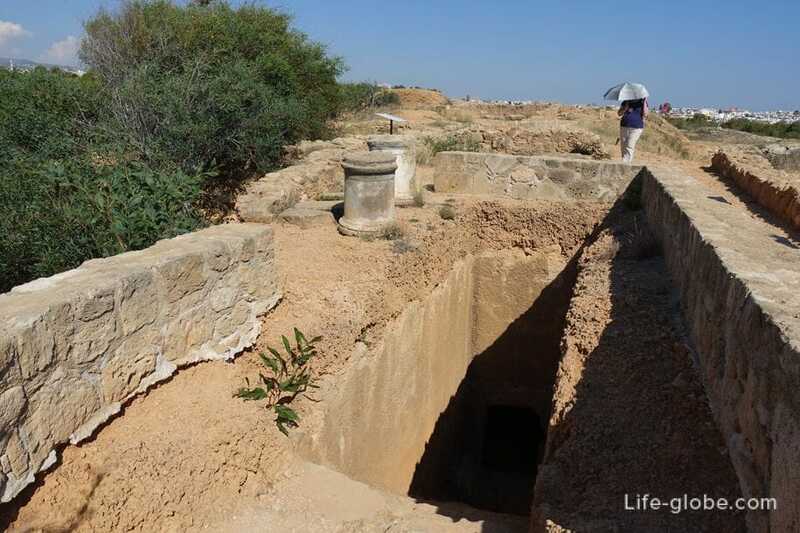 The first tomb starts on the vast territory of the complex of Royal tombs. 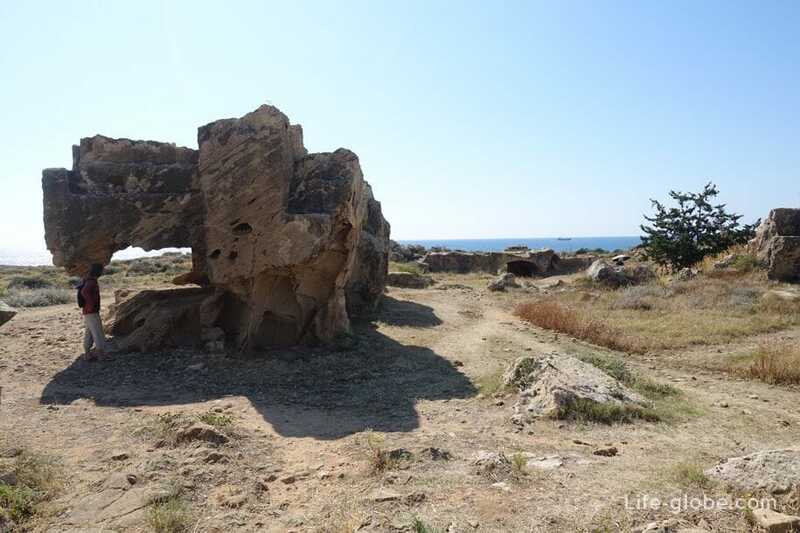 Here everywhere you can see exposed hard rock (limestone), which carved holes, most of which are destroyed. 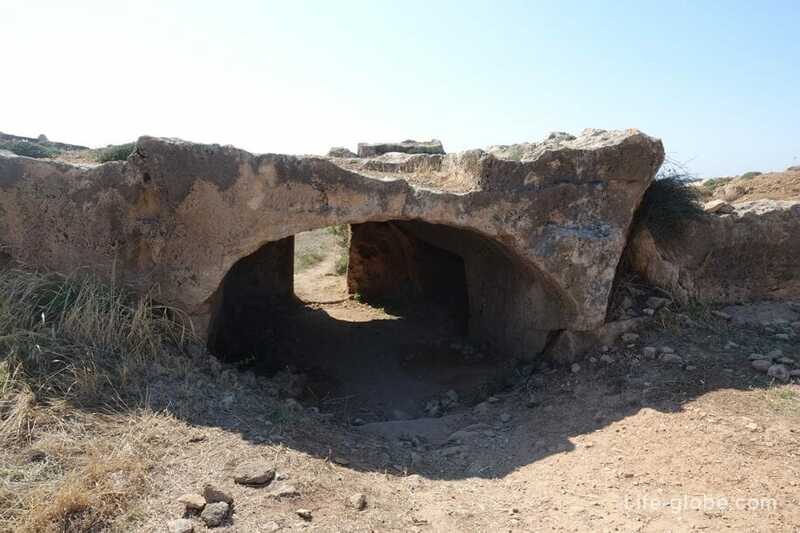 This tomb more impressive size than the first. 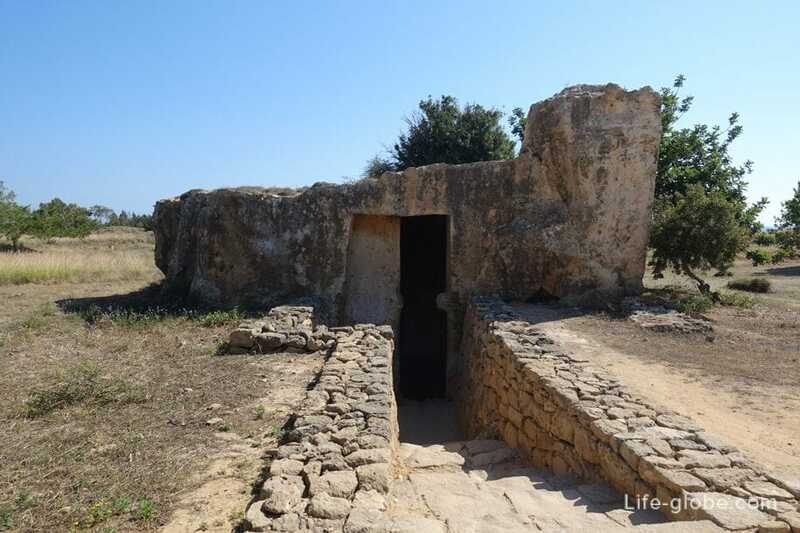 There are several slopes leading to a small underground room, to the burial chambers. 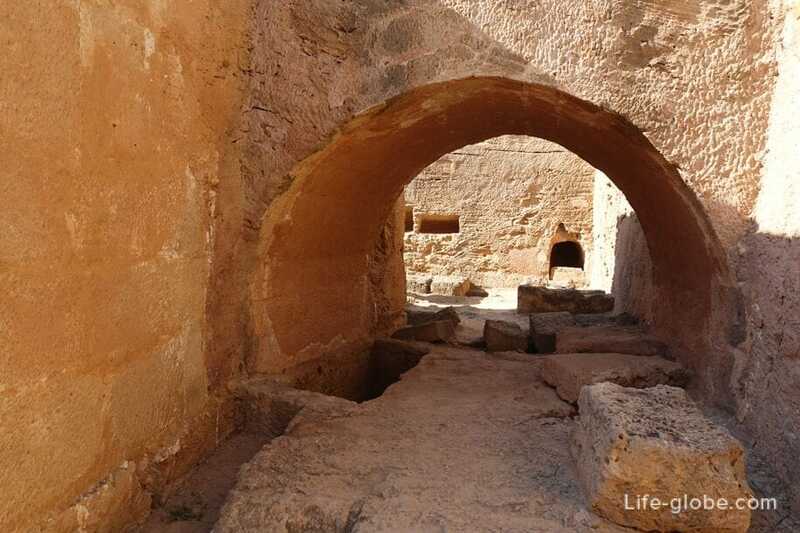 In the Hellenistic period it was carved in the atrium, attended by a courtyard and a fountain located to the right of the entrance, from which the water was taken for burial ceremonies. 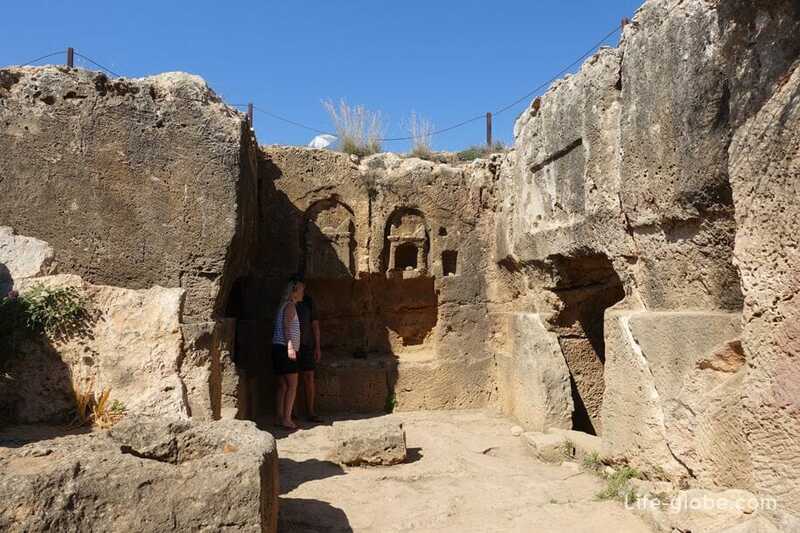 During the Roman period, the atrium was covered with a vaulted roof, then the entrance was created on the South side of the tomb. 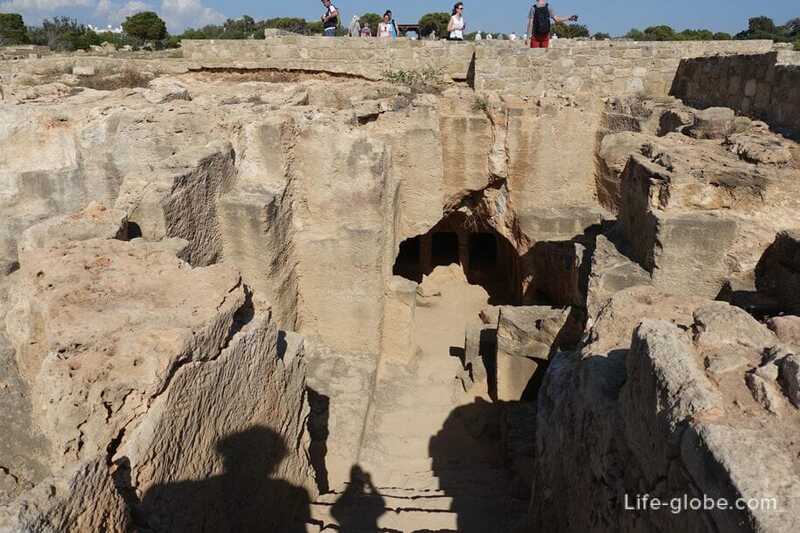 At the same time was carved out new places for burial, and on the North side two small altar. 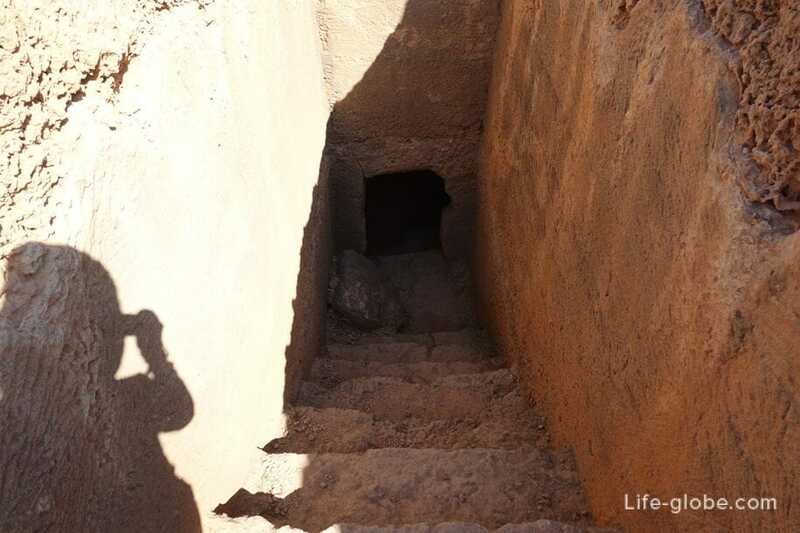 On the right side of the atrium is a staircase leading upstairs, rising on which you can see the remains of the former tombs, there are descents into the underground chamber. 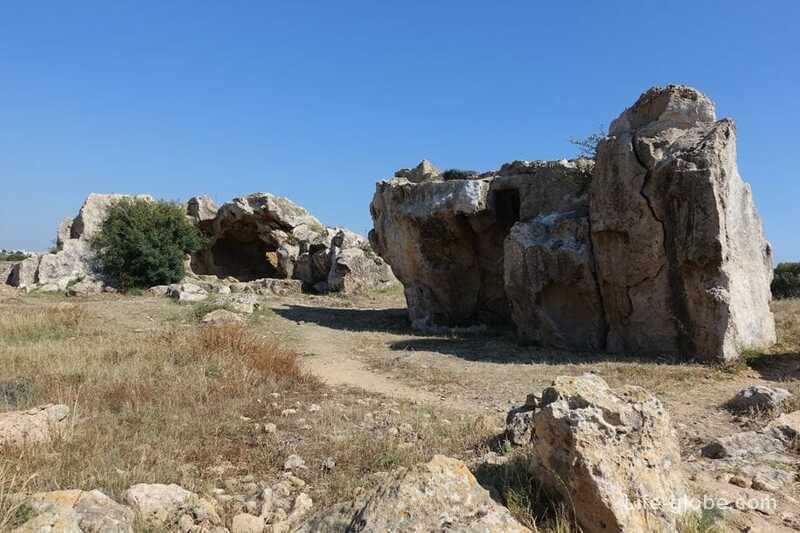 This rocky hill was divided into different graves. 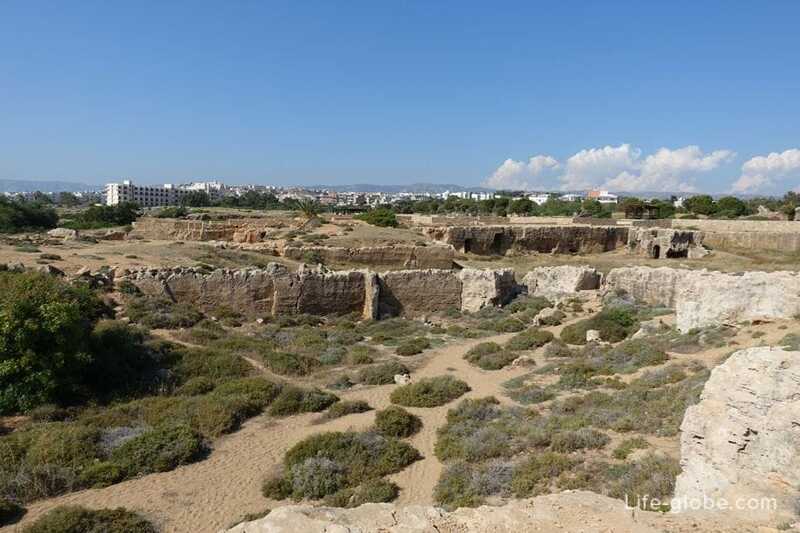 During archaeological excavations at this site were excavated three-chamber tombs belonging to the Hellenistic period. 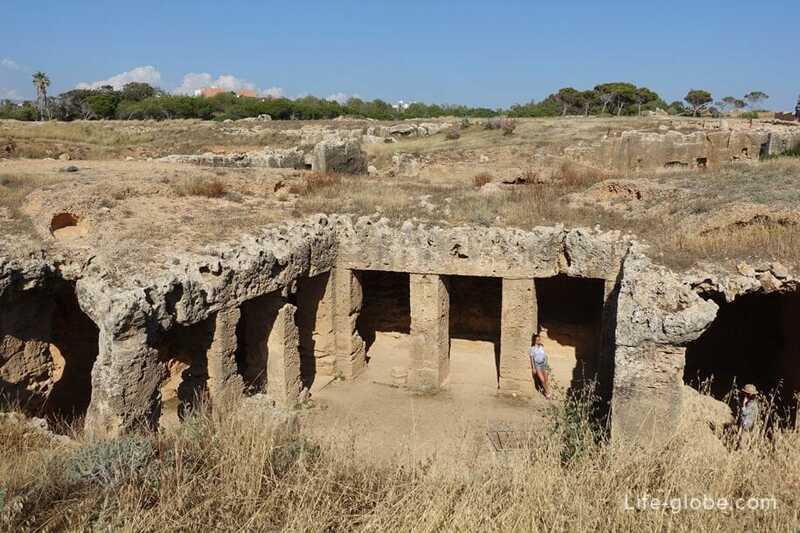 The funerary complex consists of two tombs. 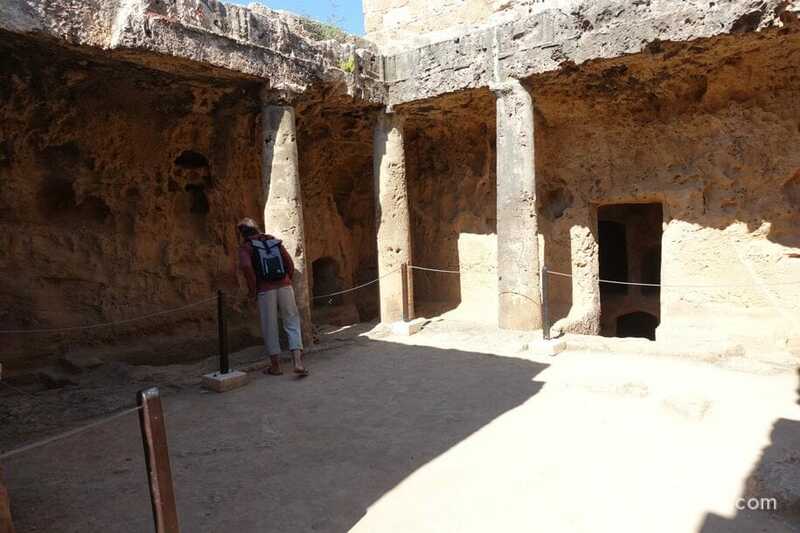 In the center is a small atrium with columns, also there was a well. 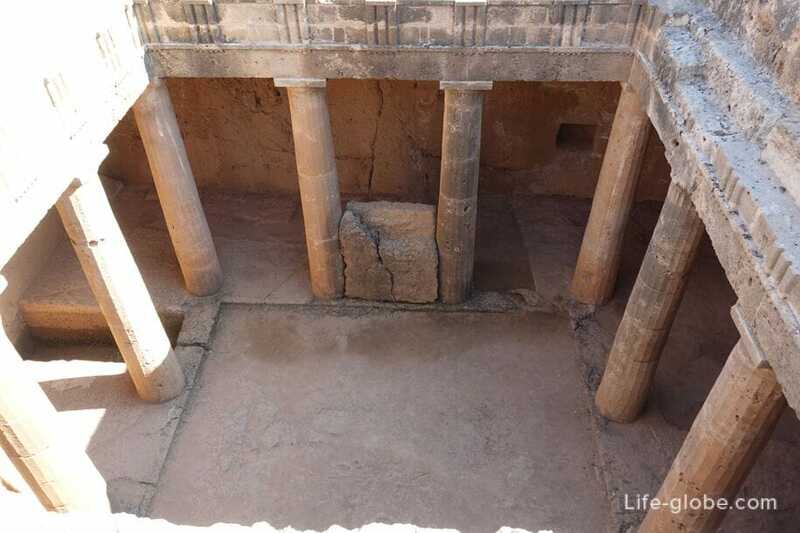 This tomb has a columnar atrium. 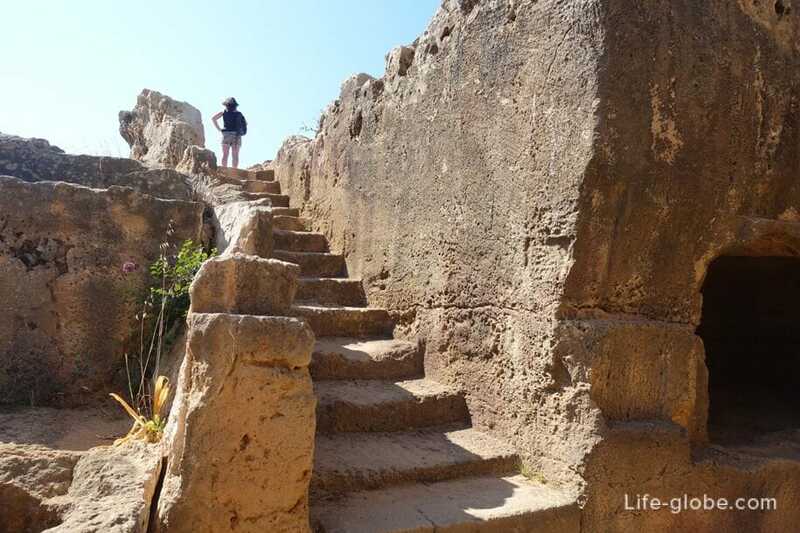 Part of the stairs leading to the atrium originally had a roof. 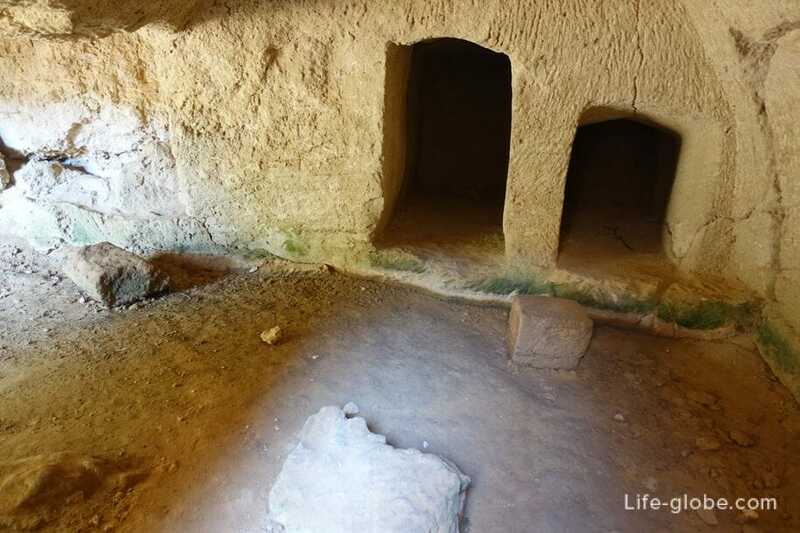 From all sides of the atrium are preserved underground tomb. 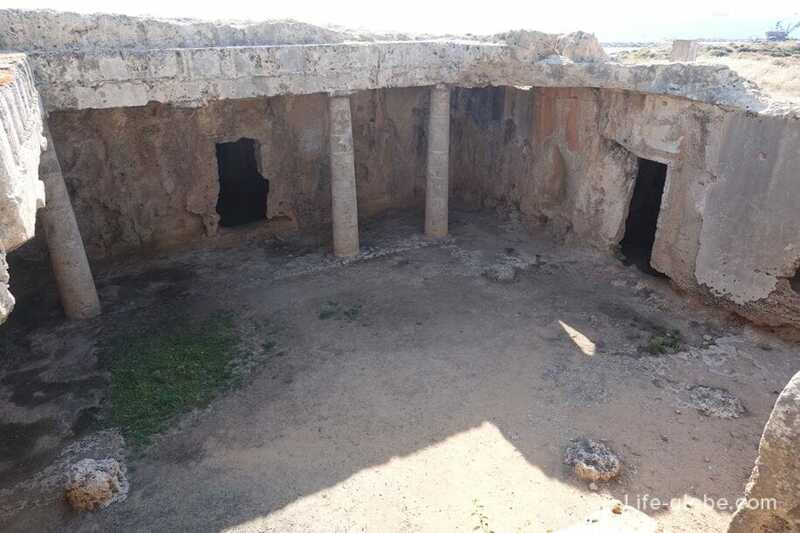 The tomb is a columned atrium and a dromos leading to the entrance of the North portico of the atrium. 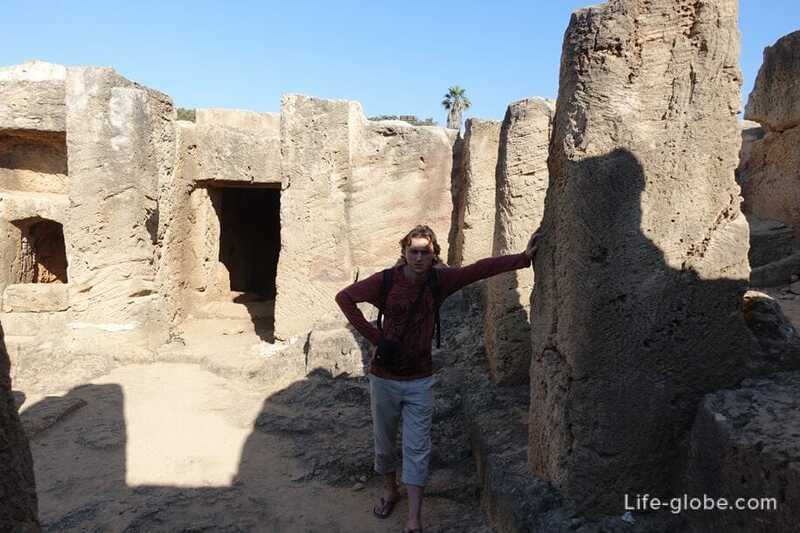 Quite large tomb where you can see remains of pillars, which once served as the supports. 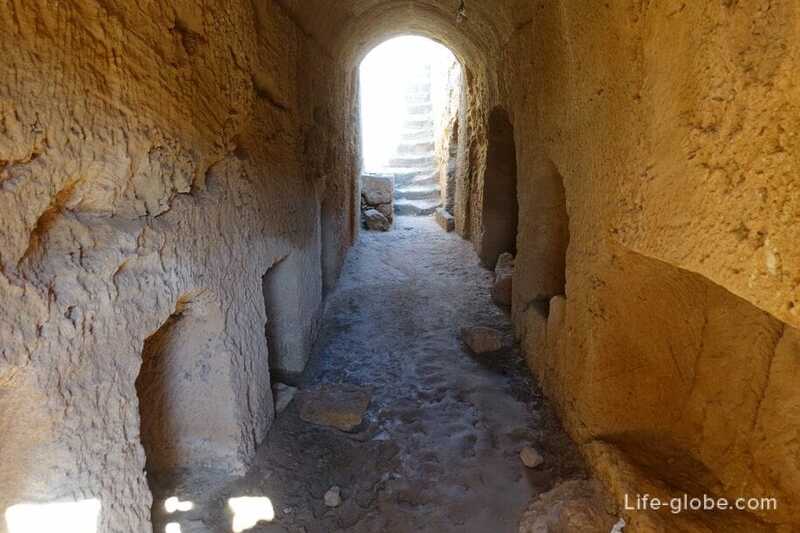 The descent is via stone steps and the arched covered hallway. 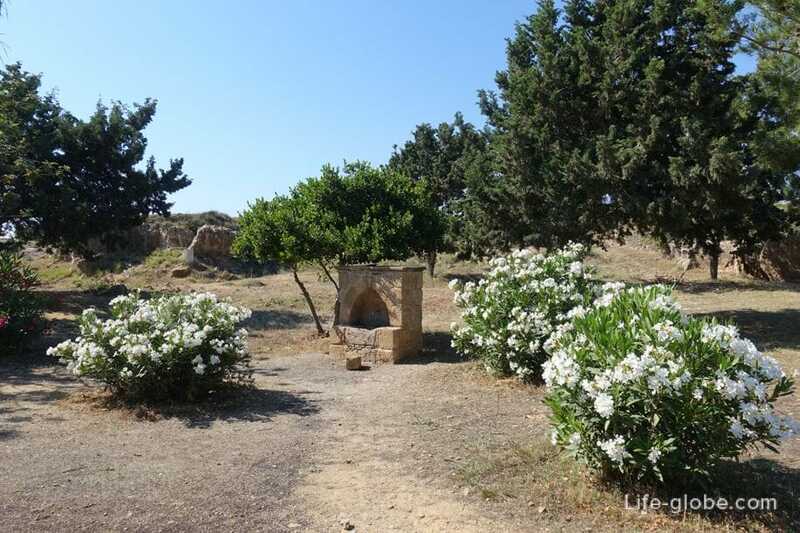 Tomb with columned atrium, also known as "Pallioeklishia". 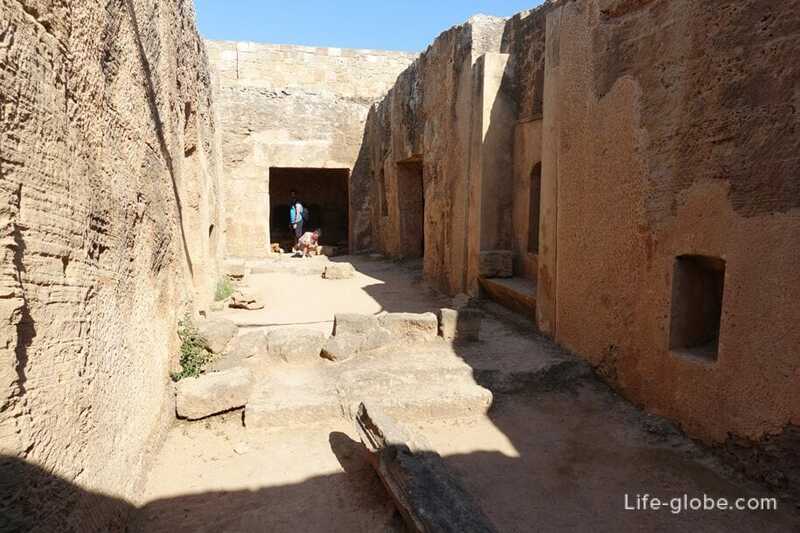 This is quite a large complex of tombs, the entrance to which is accessible by a staircase with thirteen steps and the arched entrance. 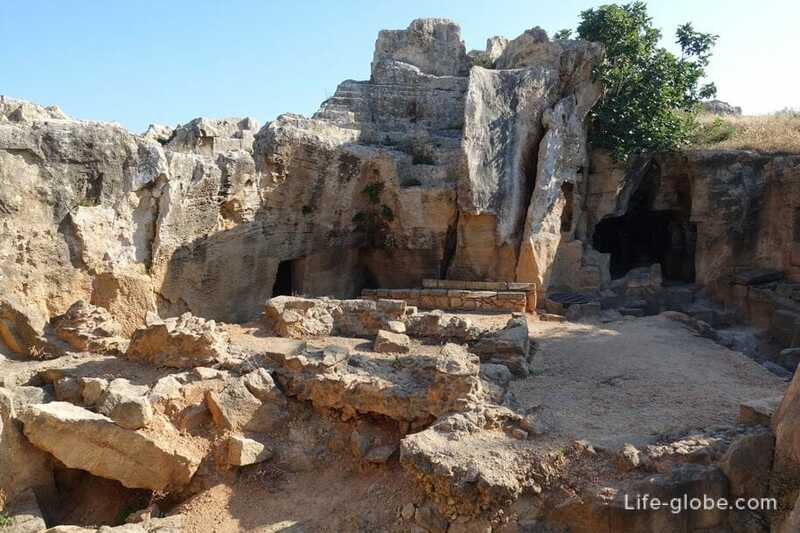 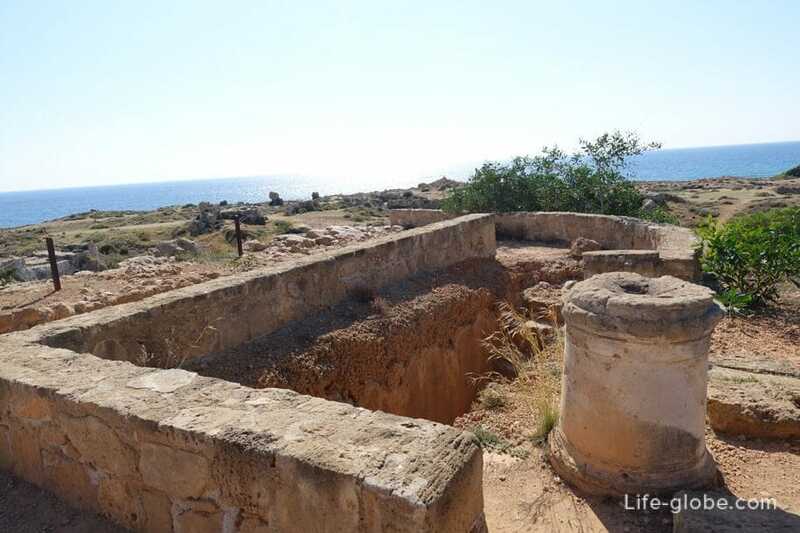 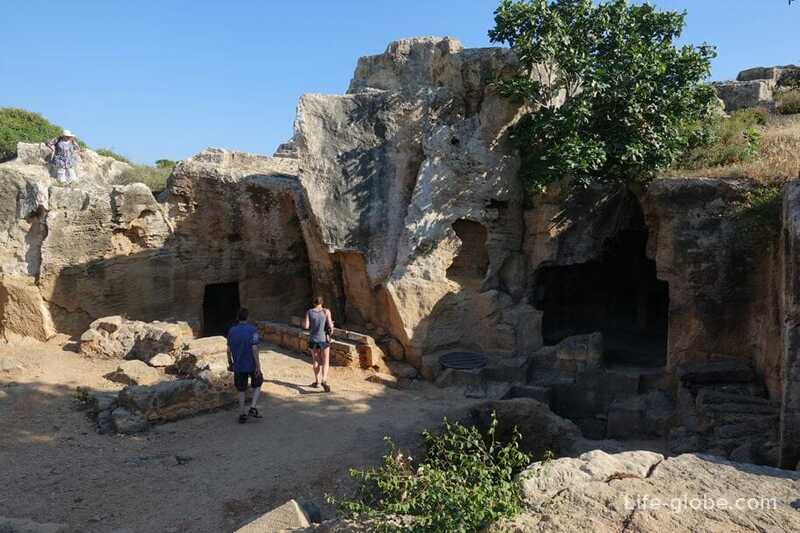 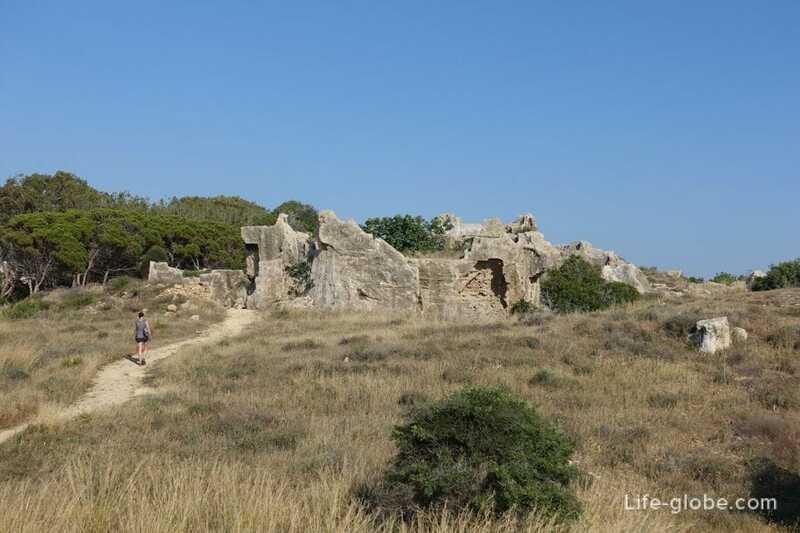 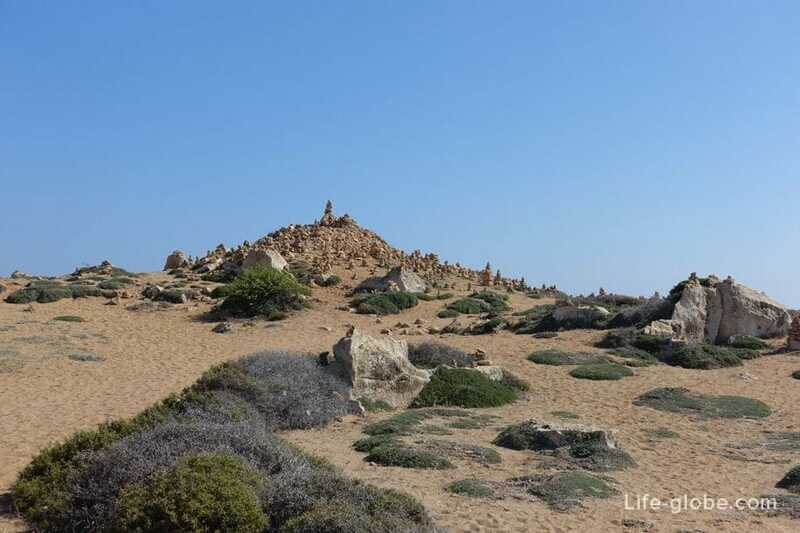 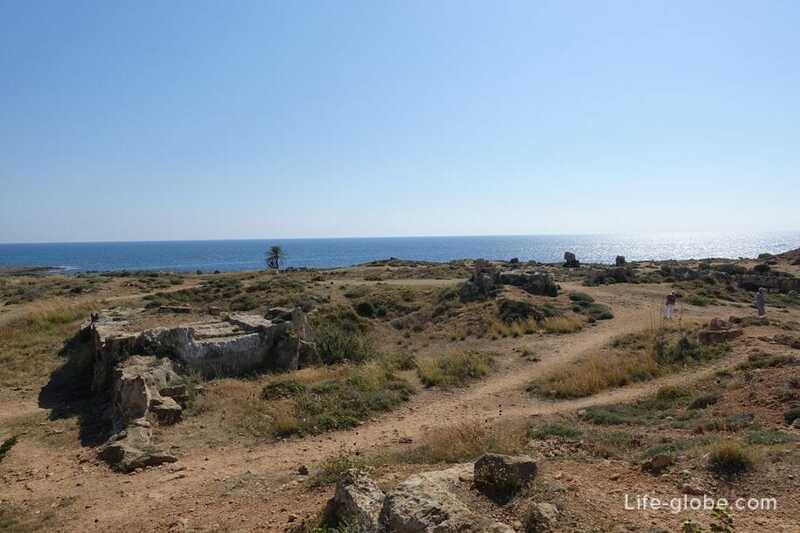 Where: the Royal tombs are located to the North along the coast from the centre of Kato Paphos, a distance of approximately 2.5 kilometres from the Harbour. 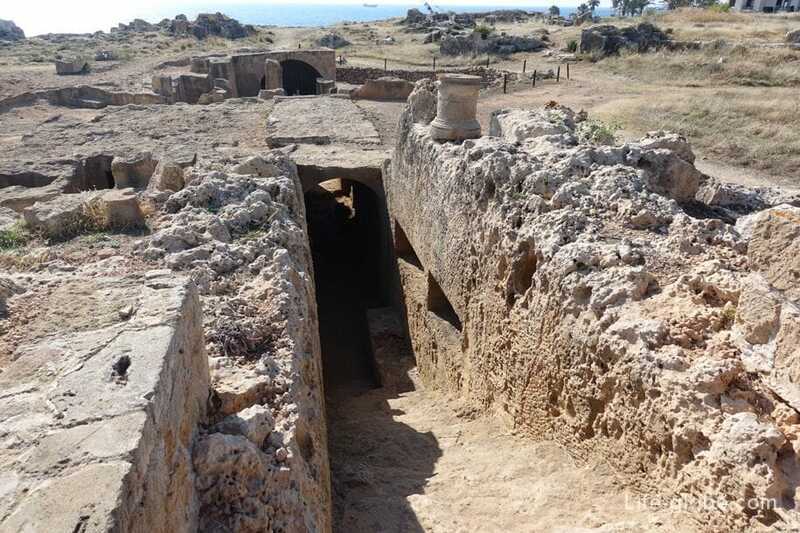 How to reach: to reach the Royal tombs it is possible by taxi, rented car; from the centre of Paphos on foot, following the street of the Tombs of the Kings, or by bus No. 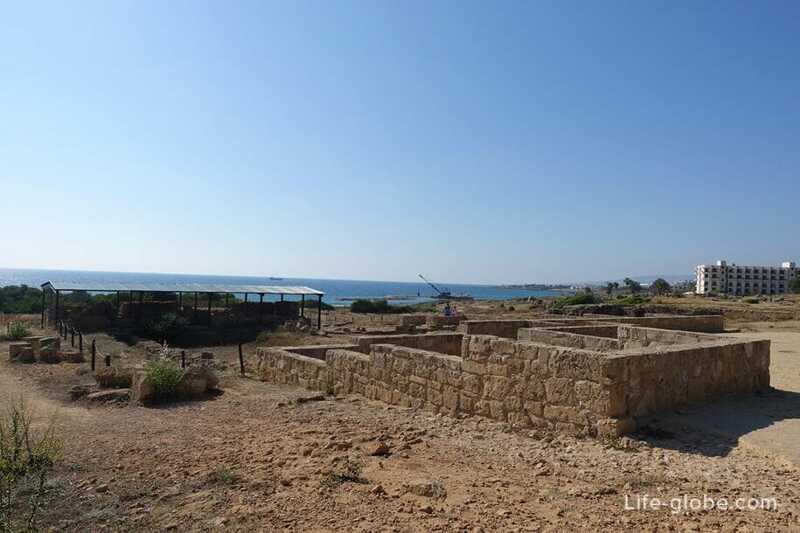 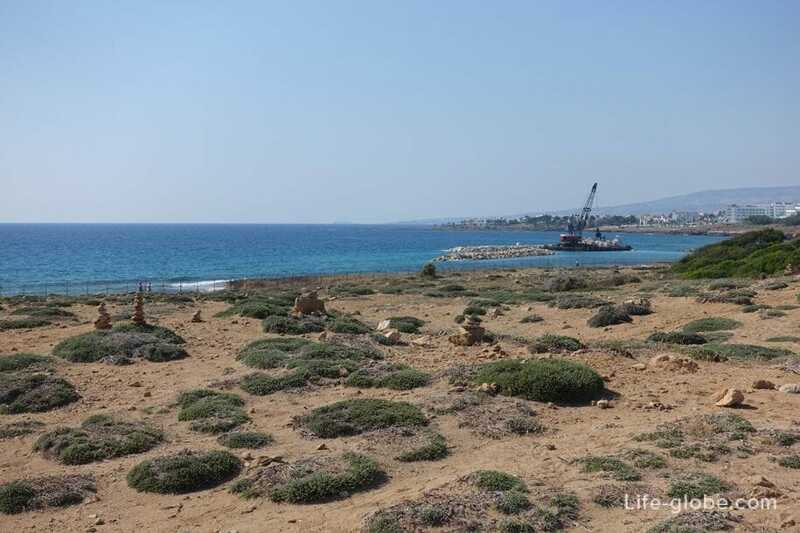 615 Kato Paphos - Coral Bay (bus station Harbour), stop "Tombs of the Kings". 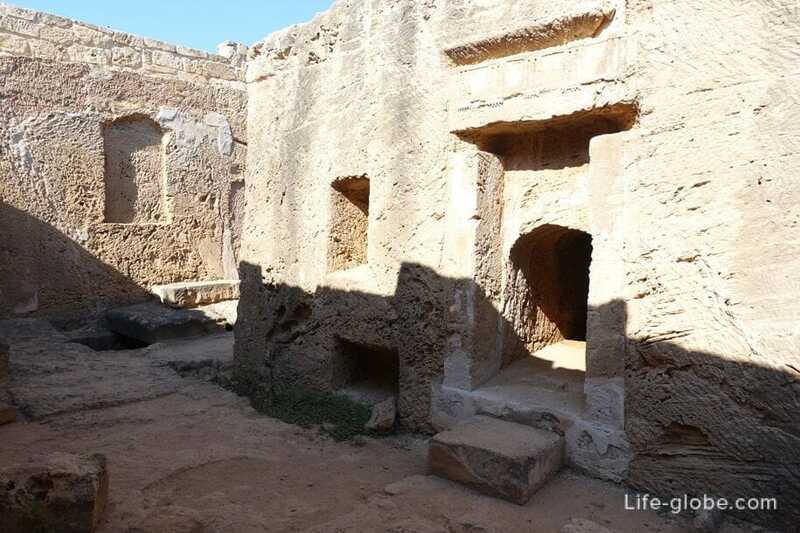 Main entrance: the entrance to the tombs is the same street of the Tombs of the Kings Ave. 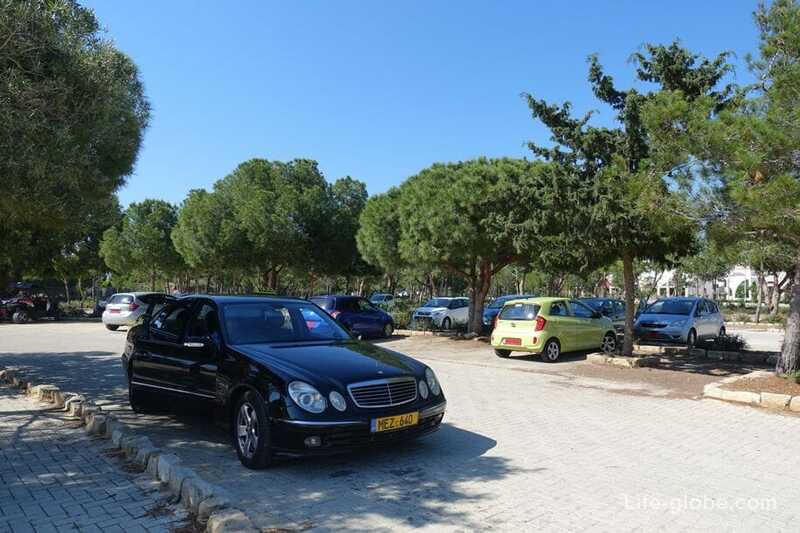 Parking: near the main entrance there is free Parking for vehicles. 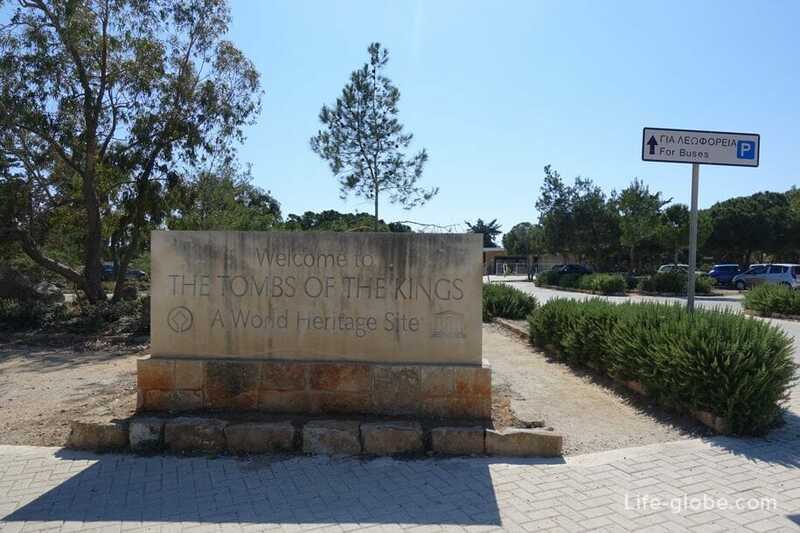 Cost of tickets: entrance ticket to the tombs of the kings - € 2.50. 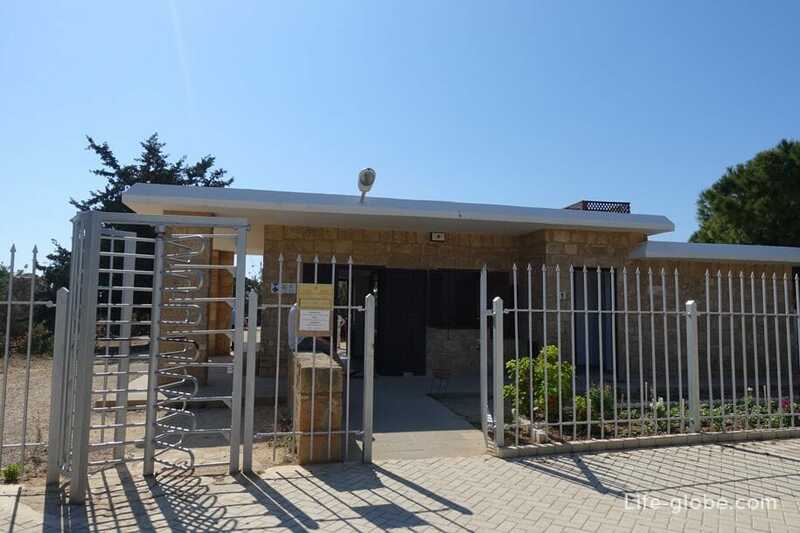 Opening hours: daily, from 16.09 to 15.04 - from 8:30 to 17:00 hours; from 16.04 to 15.09 - from 8:30 to 19:30 (ticket sales until 19:00).